While even your legal documents can often be sent to relevant parties using email or fax these days, sometimes only a print copy or the original will do. The management of these documents can have very important consequences for you or those close to you–the need for the original is a good indication of their significance–so it is important that you handle them correctly. Here are three types of life-altering legal documents that can’t be sent by email. Your passport is a symbol of freedom, leisure, and excitement. Your first adult passport must be applied for either in person or by mail. You will need to ensure that you send the completed application and appropriate supporting documents as outlined by the government of Canada. 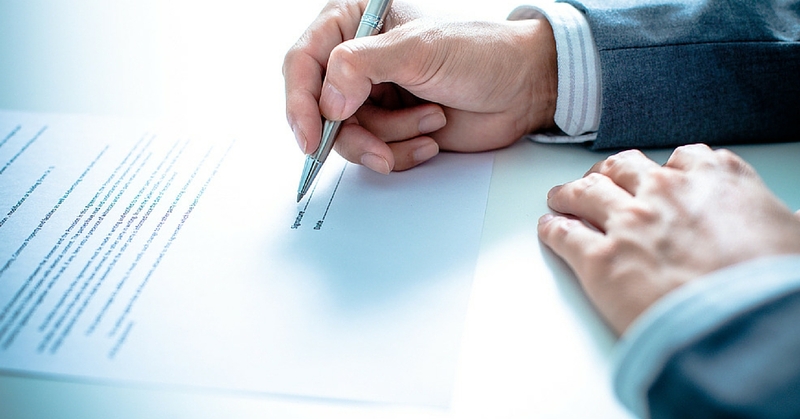 The authenticity of a will is paramount, so the original document is often required. As Canadian Living explains, only the original can be presented in court, so if you need to send your will or that of someone in your life somewhere for legal reasons, you will need a courier. If you are immigrating to or planning to extend a stay in Canada, getting the application process right could affect the rest of your life. While some immigration applications can be applied for online now, others remain paper-based. While the government is now accepting visitor visa applications, work and study permit applications, Express Entry permanent residence applications, and Interim Federal Health Program applications online, many programs require that a hardcopy be mailed to a case processing centre. Spousal sponsorships and sponsorships of parents or grandparents are included in those applications that must still be mailed physically. Similarly, according to Citizen and Immigration Canada, when submitting an application for a permanent residence card, completed applications and the supporting documentation must be mailed to the Case Processing Centre in Sydney, Nova Scotia. Even urgent applications (for those leaving Canada to travel) must be mailed. The delivery of these documents can be highly time sensitive, whether you are dealing with travel plans, inheritance issues, or immigration concerns. If you need a courier who will deliver your legal documents quickly and securely, consider Power Link Expedite. Looking for a Reliable Courier Service to Ship Legal Documents? If you constantly handle legal documents, then you probably know that such documents should be couriered as opposed to sending them via regular mail. At Power Link Courier, we assist countless businesses achieve their needs through our state-of-the-art technology, experienced drivers, and high quality customer service. For over 15 years, we have shipped legal documents across the GTA, Canada and to the US. For more information about how we can help you, visit our website to learn more about our services, or contact us to request a quote, and step up your game to offer quality courier services like the biggest players. The logistics industry has benefited greatly from the technological developments of the past couple of decades, enabling this sector to provide services in a more cost-effective manner. In addition to reducing the amount of time it takes to deliver goods, the ability to closely track packages and delivery personnel helps to ensure that logistics companies get the most out of their staff and infrastructure. As a consumer who needs to make sure that a package arrives on time, it’s key to understand how to track the delivery of an important order. The first step of keeping track of an important order happens at the facility which accepts the request. A warehouse or storage facility keeps close tabs on all inventory and monitors the activity of the pickers and packers who locate the item before packaging it to be sent away. Most inventory are typically labelled with barcodes that can be scanned and linked into a logistics database that registers the status of the order. This allows the person making the order to see that the item isn’t stuck in warehouse limbo, but instead has been promptly prepared for delivery. 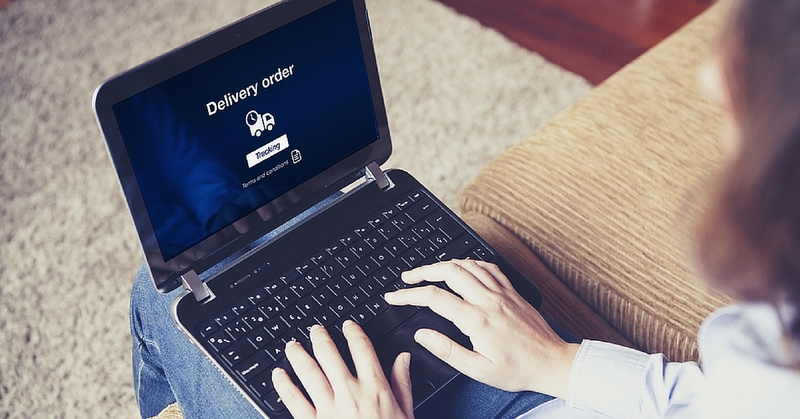 The computerized database can be set up to send automated messages to alert customers that an order has been fulfilled and is on the way to its destination. Global Positioning System (GPS) technology has revolutionized the logistics industry as much as computerized inventory management. The ability to track the exact location of delivery vehicles, including cars, trucks, boats, and planes, down to specific coordinates allows for greater communication and collaboration between those who order and those who deliver items. A series of satellites that orbit the earth communicate with GPS devices, linking them into computer systems that report their exact location. In addition to GPS, when a delivery involves multiple stops on the way to its destination, each individual stop can be recorded and monitored throughout the network of logistics storage facilities. The best way to track an important order is through the combination of local inventory tracking and monitoring of delivery vehicles through GPS systems. During each step of the process, you’re able to confirm the departure and arrival of the package through various logistics facilities, even confirming the exact coordinates of the item regardless of where it’s located around the world. Have an Important Order to Ship? At Power Link Courier, we help businesses achieve their needs through our state-of-the-art technology, experienced drivers, and high-quality customer service. For over 15 years, we have shipped items large and small across the GTA, Canada, and to the U.S.
For more information about how we can help you, visit our website to learn more about our services, or contact us to request a quote. One of the most important and easiest ways to keep your customers happy is to offer a strong courier service. Regardless of the quality of your product, if a delivery arrives late or damaged, your customer won’t be happy and may take their business elsewhere. If you choose to work with a sub-standard courier, you have no one to blame but yourself, so you need to be careful about who you choose to carry your products. A wise choice can propel your business to new levels while poor services may just work the opposite way. So, it’s crucial to take time and choose wisely. Whatever your business, you will be looking to keep costs down, so you may not be able to afford an expensive courier service company. It’s a common adage that “you get what you pay for,” but it is fully possible to enjoy first class service at a fair price, if you shop around and are willing to negotiate. You can contract a fairly priced courier provider but still enjoy the top-notch services you are after. It’s important that whatever company you choose can actually take all of your deliveries. No matter what size your company is, you need to be able to reach your customers, and you’ll need a provider who can deliver to everywhere your customers are. This especially applies if your business has an international customer base. By using a company that offers an up-to-date tracking system, you and your customer can keep tabs on the shipment, from when it leaves the courier’s office to your buyers front door and everywhere in between. This will spare you the stress of guessing whether your customers order reached its destination. Theft, loss or damages are things that can crop up during shipping and delivery, no matter how careful you and your courier are, so be sure you are sufficiently covered against these, especially when you are sending costly products. Not all courier companies offer the same terms, and some also have a maximum amount for liability, so check all this before choosing your courier. The courier should also be able to present delivery confirmations each time, which comes with the recipient’s signature. Ready to Try a Different Type of Courier? Since 1998, loyal customers have shipped their packages with confidence with Power Link. As a leading provider of same-day courier and expedited freight services, Power Link combines state-of-the-art technology with old-fashioned values for a service you can depend on. For more information about how we can help you, visit our website to learn more about our services, or fill out the form on the right to request a quote.